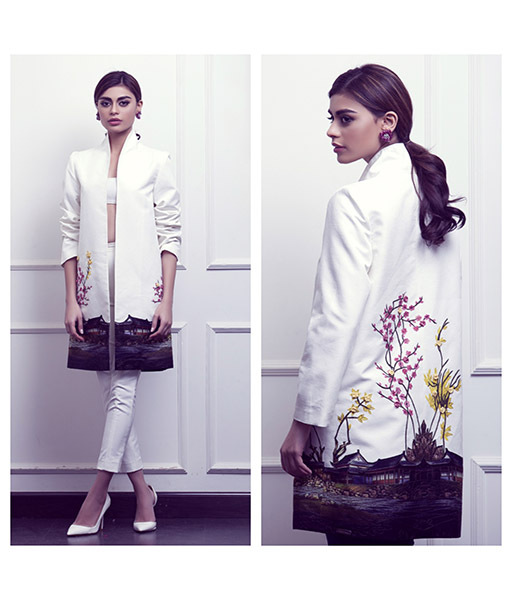 Umaima Mustafa entered the fashion landscape of Karachi in 2013 with a crackling debut showcase at the TDAP Fall Fashion Show. The young designer opened the doors of her chic new boutique in the heart of the city's Old Clifton area later the same year and has since established a remarkable signature presence due to her discerning, passionate, edgy, and fashion forward aesthetic. The label has a definite experimental quality and an essentially strong inclination towards fluid, modern silhouettes defined by sophisticated refinement that has taken fashionistas by storm. 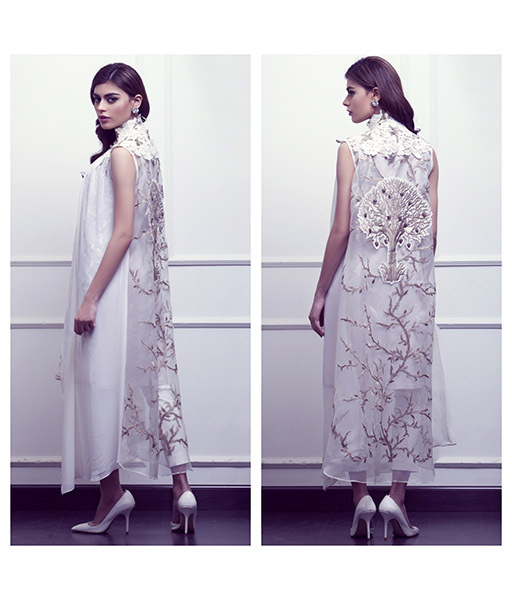 Umaima's feminine yet powerful cuts and intricate designs have become fast red carpet favorites in a short span. Loyalists adore the brand for its limited run, easy to pick up glamorous separates and intriguing digital prints. Umaima also offers niche evening wear including cocktail dresses, jumpsuits, and formals that boast exotic stitches, unique detailing, and individualistic design elements available on custom orders. 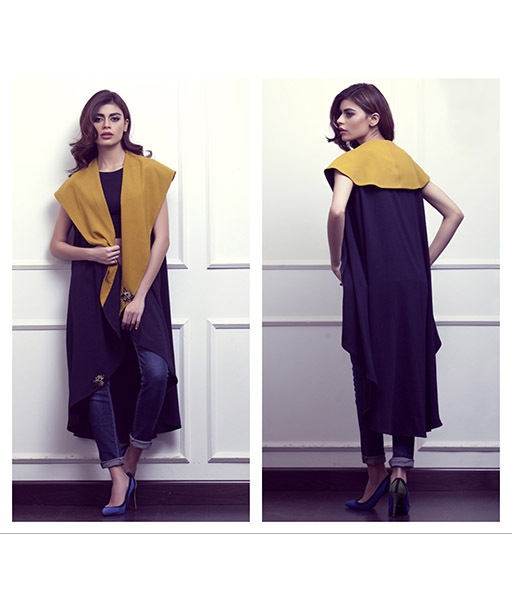 She is a specialist in statement heavy detailed jackets that would stand out in any setting. For the latest updates on Umaima Mustafa spring/summer collections and exhibitions visit our Events Calendar and Style Blog. F-20 Block 4- Clifton, Karachi - store timings Thursday and Saturday 3pm-5pm.